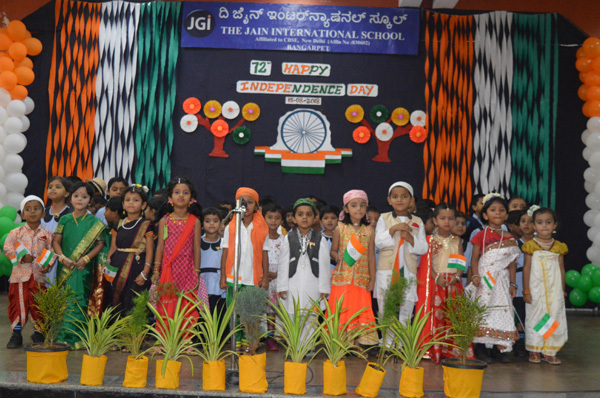 The Jain International School celebrated 72nd Independence Day with Flag hoisting parade march by Bull, Cubs, Scouts, and Guides. Students joyfully participated in various activities organized on this occasion. The activities such as singing competition within Inter house, Role Play, and Fancy Dress competition took place in the presence of Mr. Mahender Munoth, Managing Trustee and Mr. Vinod Jain, Coordinator of TJIS Bangarpet. The program was concluded with prize distribution to the winners.